Home / Archive by category "Parent"
Bring life back to your hair by combing coconut and cedarwood Hair Serum through your hair. Hop in the shower and mix castile and lemongrass Cleanser with oat and lemon myrtle Scrub to form a paste. Massage all over face and neck. Leave this on your face/neck while you do the next step. The Australian clay in the scrub mix acts like a mask to draw out impurities in your skin. Wash out the Hair Serum with a good quality organic shampoo / conditioner. Wash the paste off your face. Hop out of shower and apply rosehip and cucumber Serum to your face and neck. Your hair will feel soft and thick and your skin supple and fresh. Beauty doesn’t have to take time and money. Last year my family suffered from the flu badly. Everyone got it a week apart so it felt like it dragged on for over a month. My 2 boys (3 and 6) were badly affected and had almost 2 weeks off school and kindy. This year I am getting in early and preparing NOW for the pending winter. My focus is on my family’s health and strengthening the immune system. Hello Lunch Lady magazine – great family friendly, wholesome recipe ideas. Some cool parenting info too! Jude Blereau cook books – wholesome baking ideas and lots of information on nourishing the body. Simplicious cook book – simple, healthy recipe ideas that are sugar free. The Cooks Companion – Stephanie Alexander cooking bible. Its a big book, but has essential recipes for cakes, sauces, roasts, you name it. Regular exercise is essential for good health and a strong immune system. Try to keep your body moving, it can be as simple as going for a walk around the block, or doing some gentle yoga at home. It’s important for adults and especially children to have lots of time to rest, especially during winter. Resting helps your immune system thrive. 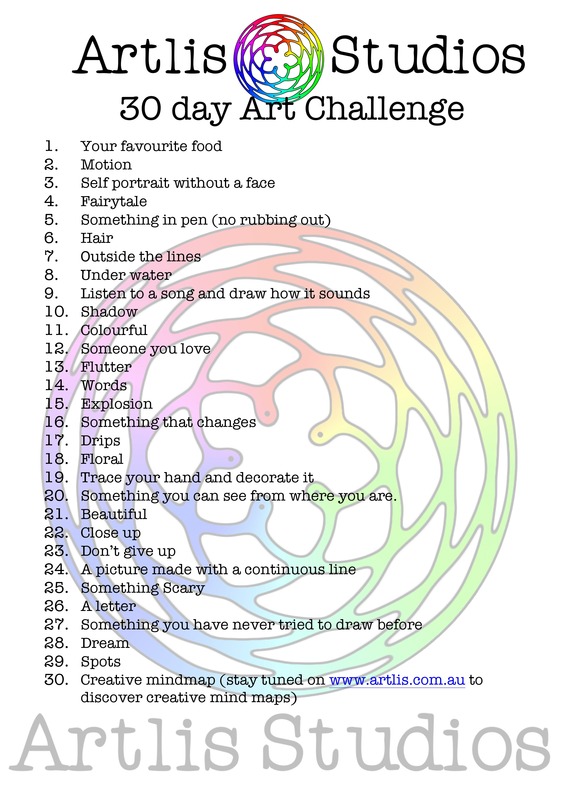 For overly active kids, art can be a great way to keep them quiet yet occupied – try a 30 day art challenge with the whole family or meditation. Often, we are not allowing ourselves enough time to sleep. For adults aim to be in bed by 9 / 9.30pm to allow for quality sleep. For children, depending on age, need between ten and 14 hours of sleep per day. If you have trouble sleeping, or often feel tired Circadian Rhythms can help give you insight on how much sleep you need and when your body regenerates. It’s basically the 24 hour cycle in the physiological processes of living beings. Our chest balm contains a blend of essential oils and is ideal for helping clear congestion and opening the airways allowing a peaceful nights sleep. Rub it on the chest, back and soles of feet to help clear congestion. Affordable at $16, it will last you a good 12 months. Get our Eucalyptus + Lemon Chest Balm for only $10 with every order. Its the perfect remedy for clearing congestion and aids in a peacful nights sleep. Probiotics are the good bacteria that naturally occur in our guts. They protect our digestive tracts, help us to digest food, assist in toxin clearance, and shield us from invading bacteria and viruses. When this bacterial balance becomes disrupted we can see changes in our ability to fend off infections. Look for brands that have between 5 and 20 billion colony-forming units (CFUs). Other remedies include homemade bone broth, increase water intake, ginger, garlic, lemon, avoiding dairy, increase vitamin c, hot tea, sunshine. Let us know below what your natural remedies are! Many of us have used various vapour rubs over the years, but have you ever checked the ingredients? The main concern is Petroleum jelly; Petroleum jelly is a byproduct of oil drilling – the kind of oil that winds up in gasoline. We have developed a natural version that smells better (way better!) and its completely safe to use even on babies delicate skin. The base of Skinmade Chest Balm contains beeswax, grapeseed oil and a blend of pure essential oils designed to help clear congestion and open airways allowing a peaceful nights sleep. It smells amazing – fresh, calming and soothing… and it works wonders. Both Genevieve and I religiously use it on our kids and ourselves as soon as there are signs of a cold or congestion. Health, happiness and beautiful skin.